I love to cook with seasonal fresh ingredients. During the summer, our gardens provide us with abundance of summer veggies, like cucumbers, eggplants, tomatoes, and of course, zucchinis. 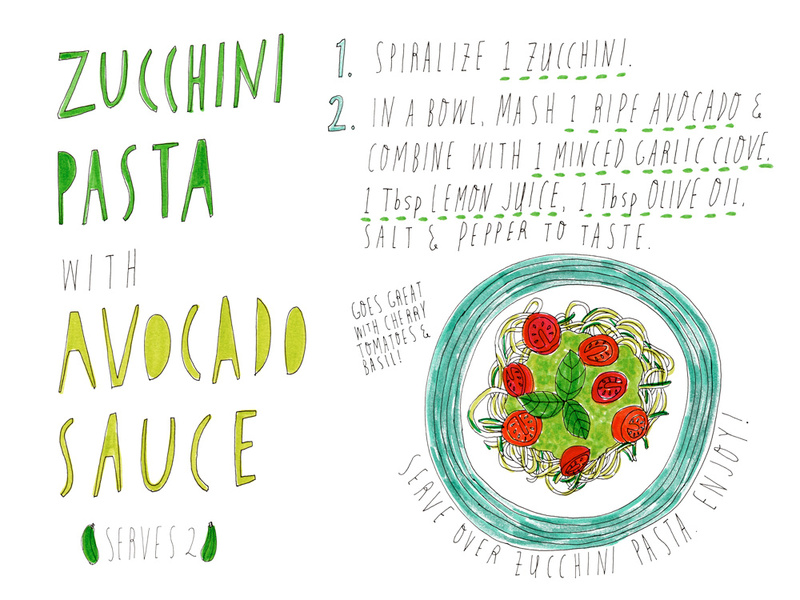 I’m always looking for creative ways to eat zucchinis because they usually come in such abundance. I have a few go-to zucchini recipes, but I get bored of them after a while… 😀 And before you know it, your crisper gets so full of them! You can’t fit anything else in there, and when you try to jam in your lettuce, they end up getting smushed by the firm zucchinis. I’m sure I’m not the only one who occasionally resents how prolific they are!! During the summer our tiny apartment gets overheated due to the big west facing windows and the subpar insulation. We try to cook outside on our BBQ grill whenever possible so we don’t have to turn on the oven or the stovetop. 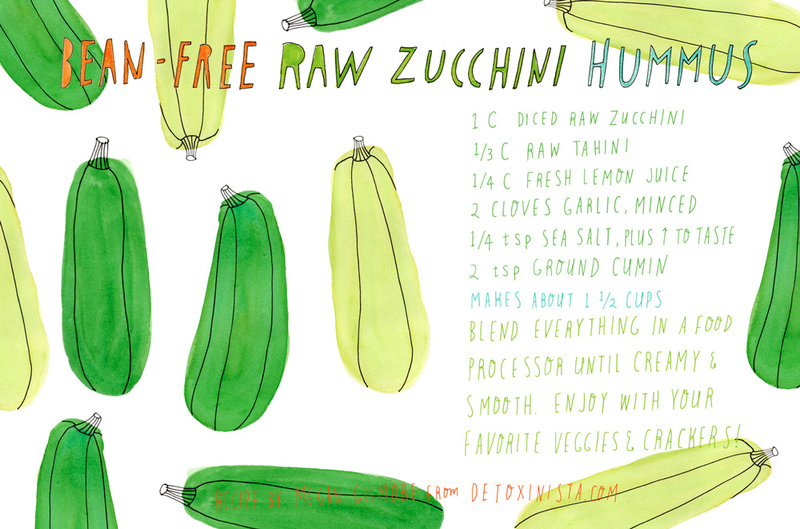 I was delighted to find this raw zucchini hummus recipe on The Detoxinista because 1) it uses the zucchinis raw and 2) I love hummus! 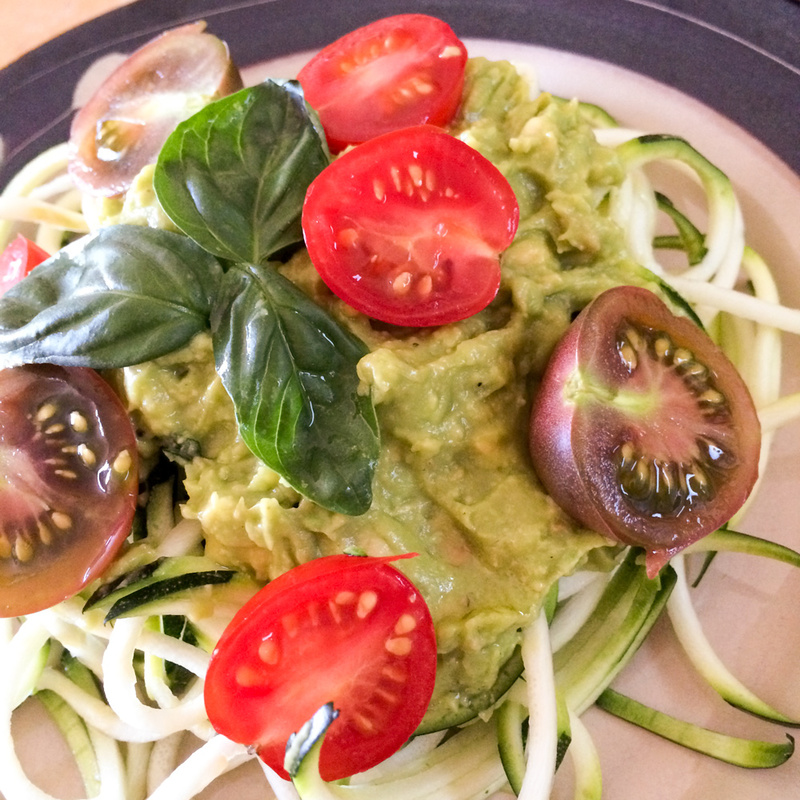 I have allergy to several kinds of beans, and chickpeas, depending on how they were prepared, are sometimes hard to digest… so this zucchini hummus is a great bean-free alternative! It’s light and refreshing and goes great with your favorite veggies and crackers! YUM. What’s your favorite zucchini recipe? 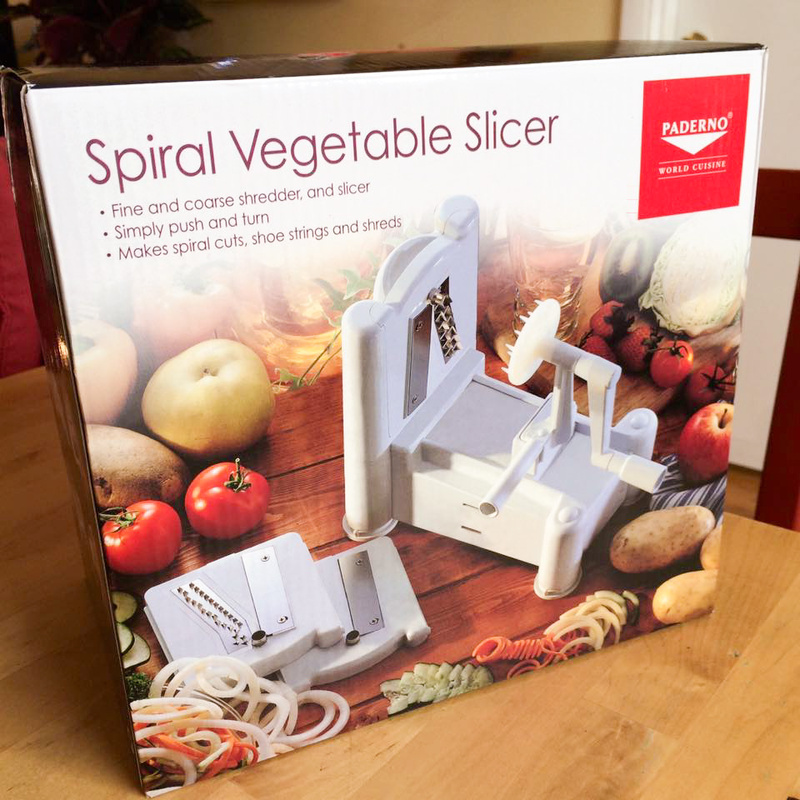 Tell me in the comment below and help me keep up with our zucchini production this summer!! Anyway, I’ll tell you more about how my meditation retreat went next week. I promise. Since I don’t have much to say about my meditation retreat yet, I wanted to share a recipe for Metta Balls today! What’s a Metta Ball, you ask? 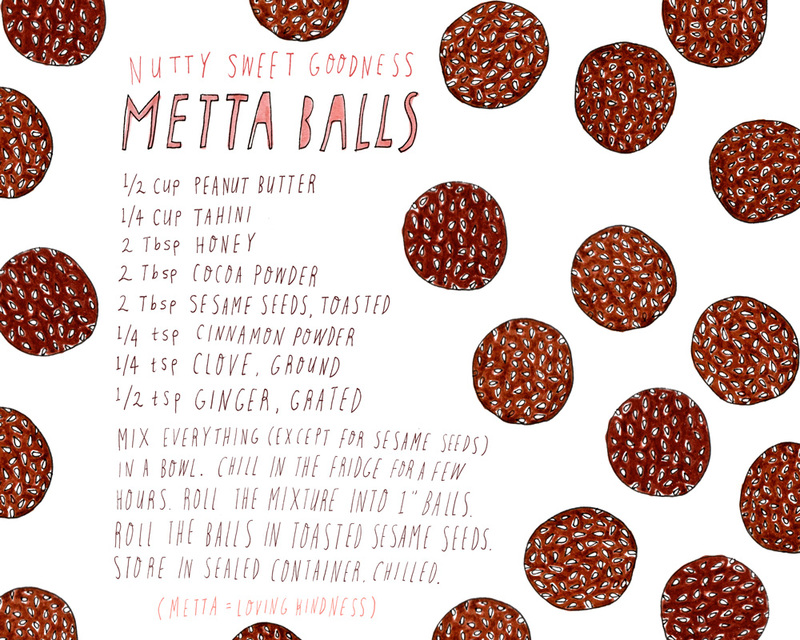 Metta is a term used in Buddhist teaching, meaning “loving kindness.” Metta Ball is a no-bake, nutty and sweet treat that is super easy to put together and of course, so very good. Meal time is definitely a highlight of the meditation retreat when all you do is sit and try to observe your inner chatter all day long. And every once in a while, they serve you a dessert. Metta Ball is one of their dessert options. At the time I’m writing this post, I’m really hoping they serve it at the retreat! With my current dietary restrictions, this is pretty much the only dessert I can eat out of all of their options. Be warned – it’s addictive. When I made these a few weeks ago, I kept peeking in the fridge and reaching in the tupperware, like every 20 minutes. This little treat goes perfect with milk. Or rather, you need milk to wash down the peanut butter that sticks all over your teeth 😀 He he. While we were on our regular grocery shopping trip, I had a craving for a good dip. I just wanted to cut up a bunch of vegetables and dip them into something yummy… So I started looking through what they had on their dip and spread shelf. 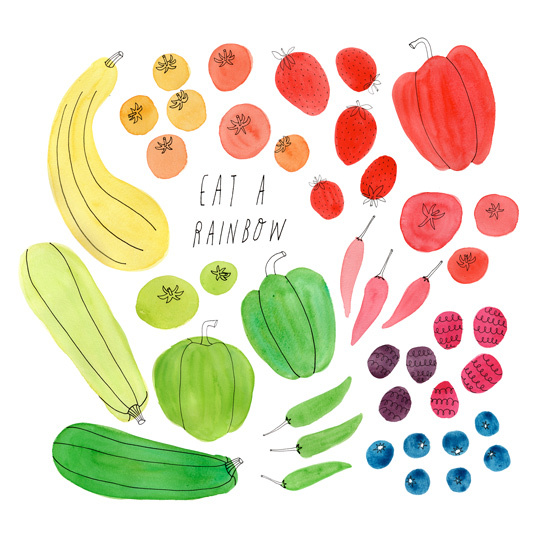 I’m currently on a gluten, dairy & egg-free diet (Oh and some beans are out for me, too… sad. ), and many pre-made dips had one or more ingredients I can’t have. Yes, I could eat chickpea hummus, but that’s my typical dip of choice, and I wanted to try something new. And there it was, I saw this gorgeous, creamy, magenta goodness in an 8 oz. tub on the shelf. And that’s how I met Beet & Walnut Hummus. Delighted, I picked up the container and read the label closely. And, congratulations! It was made with everything I could eat! When I was reading the label, I also noticed that the ingredients were pretty much identical to regular hummus (except for the beets and walnut part). And then I thought, hmmm, I could probably make that at home! 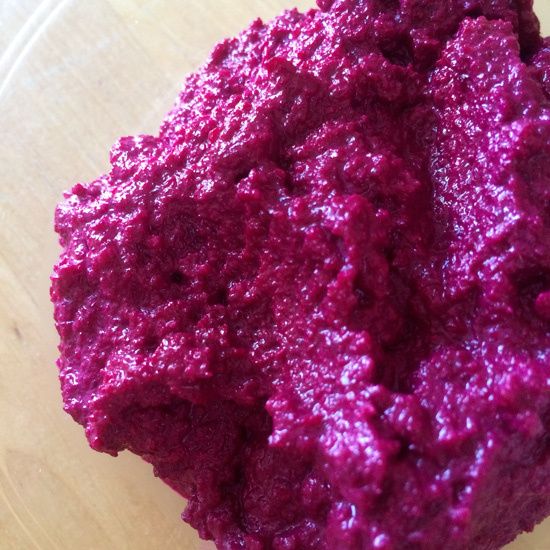 I just modified the simple chickpea hummus recipe to create this Beet & Walnut hummus. It’s super easy to make and oh so delectable. It tastes very much like regular chickpea hummus, but the beets add the slight earthiness, and it’s surprisingly sweet, too. I mean, how gorgeous is this?? 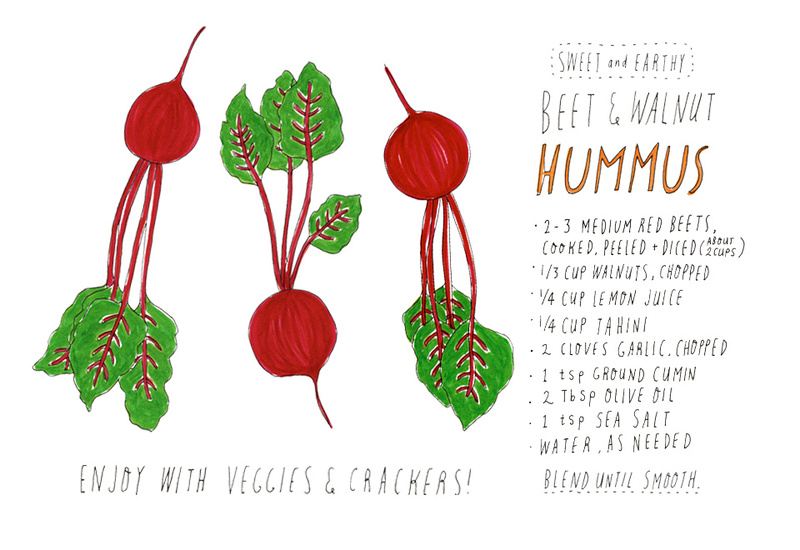 Enjoy with veggies, crackers, and anything else you’d eat with the regular hummus! I’ve been little obsessed with buckwheat breakfast porridge lately. Buckwheat is awesome. It’s super nutritious (very rich in fiber and protein as well as Vitamin B-6, Iron, and Magnesium among other things), and is a good option for breakfast hot cereal if you’re on a gluten or grain-free diet. Despite its name, buckwheat is not a wheat or grain. It’s actually a seed! 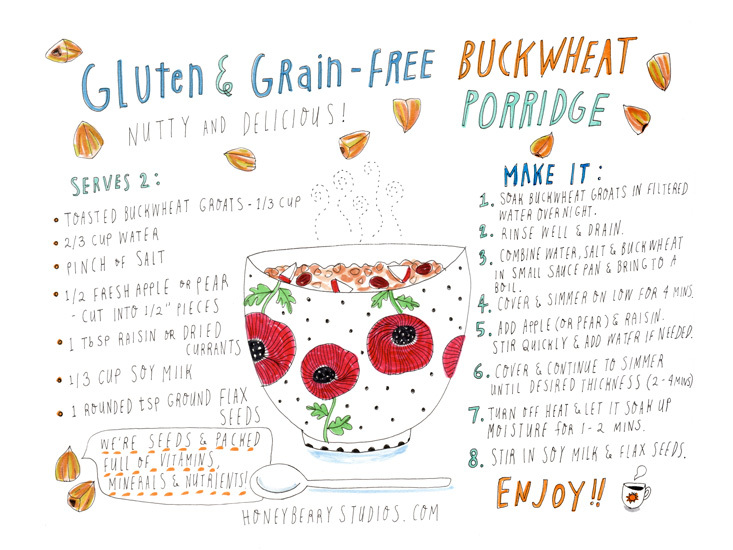 Illustrated buckwheat recipe with Sakura Koi Pen & Pigma Micron Pen. I use unsweetened soy milk for extra protein, and you could substitute it with other non-dairy or dairy milk, of course. Some chopped walnuts and cinnamon are also good for this recipe! Or add some nut butter…mmmm. I just enjoy the natural sweetness of the fruits in this recipe, but you can definitely add sweetener of your choice if you’d like. Possibilities are endless! I make my hot cereal/porridge pretty mushy to make it more digestible, so if you want it less mushy, you probably want to adjust the cooking time. Also, pre-soaked groats will cook quicker, so be sure to check after a few minutes if you don’t want yours too soft. I hope you enjoy this simple and hearty breakfast!